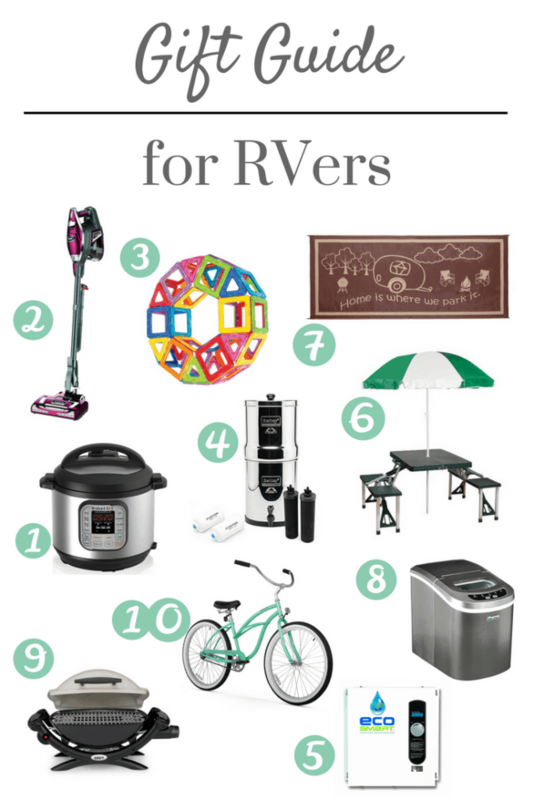 This RV gift guide is perfect for the camper on your list? 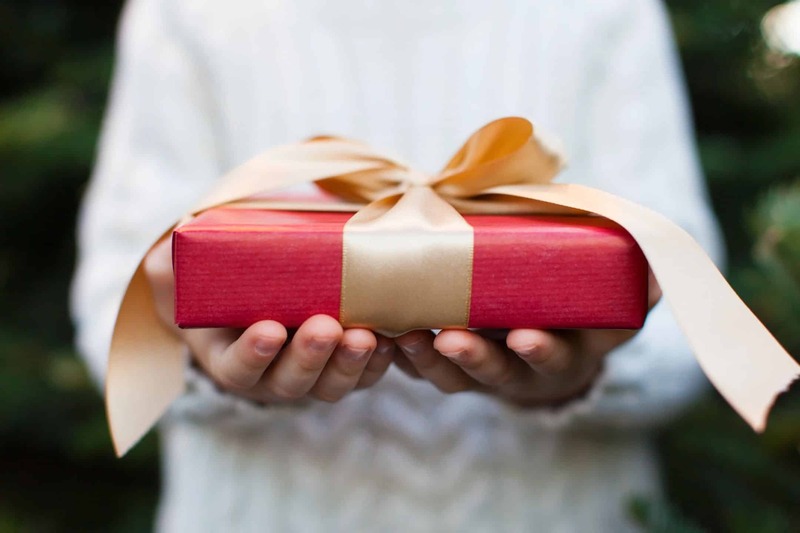 Fulltime or occasional, anyone with an RV will love these gifts! Instant pot – The Instant Pot is the newest kitchen gadget rage. It’s a slow cooker, a pressure cooker, a rice cooker, and everything else cooker all in one. Set it and forget it while you’re out exploring with this all-in-one space saving appliance. Shark Vacuum – Dirt is always getting tracked into the RV, especially if you’re parked in the woods or at the beach. This vacuum is camper tested and approved due to its compact size and suction power. Magformers – This one is for the kids. Moms and dads highly recommend this toy because their children come back to it over and over, a plus for a small space. It’s great for sparking imagination too. Berkey – A Berkey is a countertop water filter. The water at campgrounds doesn’t always taste the best and is sometimes undrinkable. With a Berkey you don’t have to purchase bottled water or worry about water quality. It delivers fresh tasting, clean, and safe water every time. Tankless Water Heater – Stock RV water heaters are fairly small. If you like taking long showers, you’ll need a tankless water heater. It heats water on demand for an unlimited supply. Portable Picnic Table – This item is on my list. The outdoors is an extension of your living space, so make the most of it with this portable picnic table. Eat on it, do crafts, etc. Outdoor Rug – I mentioned above that campers get dirty quickly. An outdoor mat can help, and this one is super cute. Portable Ice Maker – RV refrigerators do not come with ice makers. If you want ice, you can go old school with ice trays, or get this portable countertop ice maker. It makes ice in minutes to keep your drinks cool. Tabletop Grill – We have this grill and looooove it. It’s small yet large enough to cook a full meal and super easy to use. Dave uses it just about every day. There is a cart for it too which folds up, another item on my list. Bicycle – Since moving into the RV, I ride my bike more than I ever did while living in a house or apartment. It’s great for getting around the campground, exercising the dogs, exploring the area, etc. If you aren’t going trail riding, a beach cruiser in a bright color will suffice. If you like this post, you might also like this list of ideas for Stocking Stuffers for RVers. All valuable suggestions! I’m a long-time dedicated slow cooker user, but I have to admit those instant pots have gotten my attention. I’d also add some very small items that offer big value to the nomads and adventurers among us: annual state or national parks passes, or family passes to popular local attractions like zoos and museums. These are some really great ideas, I had no clue a countertop ice maker existed!